Pros: JIRA is currently the main platform for me at work. The entire faculty and college uses it for creating tasks, assigning tasks to others and tracking the progress of students. The IT department has tuned the JIRA in predefined certain way to meet the needs of our daily work so it shows that this software is very versatile and can be used in many different ways depending on the application. Sine everyone who is part of the team can access the pages we all can see the progress and there is a better visualisation of the project and progress. We have certain response teams created in JIRA so when there is any task created for a student and a proper response team is assigned all the team members get the email and updates which I think is pretty neat. I also like that i can add progress comments to track history and easily tag other people on it so there is transparency. The filtering on JIRA is something that was new to me and I thought it was a very nice way to unclutter that huge list of tasks on my front screen. The searches and how the different progress and roadmaps can be made separate should be used to make sure things are not getting mixed up. JIRA also has this unique feature where you can create reports and see how many tasks have I touched and dealt with in the past year or month. This helps the management team analyze the workload distribution and where are we spending most of our time which is sometimes not visible to all. Great feature during performance reviews. Cons: I think JIRA can be very clunky and clumsy looking due to the format it is setup as. It could be designed to display the same information but I think in a much better simpler way. The huge icons and boxes sometimes gets too much for me. Also for someone who is new to JITA it is definitely not intuitive. There is a learning curve to JIRA. The process that I have to sometimes go through to create a request on JIRA for someone else is lot of work and there are some limitations on how the ticket can be created such as only one person can be assigned. The customization is JIRA is definitely not what anyone can do and always requires help from IT. Cons: For the simplicity of the application, I could hardly think of any major negative points. Overall: Overall, experience with JIRA is just awesome. Pros: I use Jira for Project Management in my occupation. As a worker in a large enterprise, Jira does a phenomenal job of creating a fantastic user experience for both desktop and mobile. I think mobile project management is especially intuitive with this service. 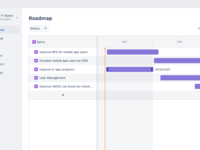 Where Jira stands apart from other standard project management tools is in its ability to track issues throughout an entire development lifecycle. Tickets are an essential component to keeping work organized and teams moving forward. The ability to collaborate via comments is unparalleled. Jira also offers extensive add-ons and pre-created templates for those just learning the service. When tracking projects, I never felt overly-encumbered by high learning curves or a clunky interface. Jira allowed me to work with many of the tools I am comfortable with and expand my potential. Cons: From my experience, the largest pain-point / decision point between my team is on the issue of creating 'tickets'. While Jira is a very detail oriented application, this detail can sometimes become quite cumbersome. For example, the process of creating and resolving tickets can sometimes feel even longer than completing the task itself. Furthermore, it is difficult, if not impossible to close a ticket if you are not the creator. Therefore, project managers need to carry significant oversight as task statuses change. Therefore, tickets are very controversial but also an essential component to completing work successfully on this platform. Overall: My experience with Jira has been fantastic. Overall, once a team gets used to the 'ticketing' structure, there are a lot of organizational efficiencies that can be gained. The standardization of ticketing can help teams navigate through areas of need and allocate resources from other projects if ahead of schedule. Jira works phenomenally as a tool to help manage projects both large and small. I have helped test and implement projects that have utilized Jira as the primary project management tool and believe that it is a state-of-the-art solution. Overall, I cannot recommend this service enough! Pros: The best part about JIRA is the ability to keep track of all work being done via tickets. I love that JIRA works for all kinds of styles of work. We work within an Agile environment, with some teams using Scrum and other teams using Kanban. No matter how the team is structured, they utilize JIRA tickets. This is great because there is a single repository for all work being done and we can easily search for tickets across all the different teams. The use of Epics vs. Stories is very easy too. We can keep track of what tickets belong to which effort with ease and show the progress of work through the tickets. We can also easily maintain a backlog of tickets. If two separate people submit a similar ticket (or at least two tickets that reference the same work effort), we can combine those tickets easily so that we aren't feeling overwhelmed with more tickets than actual work. Cons: The biggest debate among our team members is when it is necessary to create a ticket. JIRA has created a culture of needing to log every little thing, even if it takes just a moment to complete the work. Sometimes, it takes longer to create the ticket than to complete the task at hand. That tells me there is too much reliance on JIRA to report work completed. It causes some in management to show that their department is succeeding simply by the number of tickets completed. But the tickets don't tell the whole story, especially because there isn't a time component to those tickets being completed. Overall: It took time to get buy-in from the entire IT department to fully utilize JIRA. However, now that the whole department is all-in, JIRA has truly made our work effort much easier. We now have internal business partners who utilize JIRA to review work status, set priorities, and create new tickets when issues/upgrades present themselves. With an organization our size, I can't imagine not utilizing something like JIRA...not sure how we did it all in the past. Comments: A very strong tool for development projects, which covers so much more than just project management. Thanks to Jira, you can track issues over the whole development life cycle. Entire project layout is possible with infinite iterations, including planning and backlogs. The variety of collaboration tools involved (like comments) is unmatched by all other tools I've used. The project progress is easily tracked, plus you can track then across releases. Jira offers full reports on both progress and performance. Pros: One of the best features I've found in Jira is the Workflow editor - I've never seen anything like it despite my extensive experience. Some people would say it's not even that important, however, for growing businesses it's something you can't do without. Lots of task tracking is needed all at once, as you can never predict what necessities will arise in a growing company. Jira provides great help with all these issues. Sprints can be structured across multiple tandem-working teams, taking into account their wishes and preferences - either for traditional setups or for newer ones. Cons: Honestly, one thing that was really off-putting for me was the impressively complex layout. The project list is simply huge, and you have to take some time to grasp the navigation and search features. Perhaps, in the next update the developer needs to add the possibility to tag or somehow categorize or classify projects more clearly to make them easily searchable. Otherwise, it takes a bit too much time. The dashboard is simple, but I don't much like the visualization for reports. You also can't assign tickets to several people at the same time. Only the person who created the ticket has the authorization to close it, which is quite bothersome. You can't create columns or tables, and notes exist only for text input. I would also like to see a feature where you can generate turnaround time for ticket closure in an automatic way using reports. Plus if you have a bad Internet connection, there are issues with loading contents (sometimes the loading even stops altogether). Cons: - Pricing - it is prohibitively expensive for small companies, although they are making steps to minimize this with the new pricing models (e.g. : a few years ago they started allowing up to 5 accounts per project and unlimited projects, for a fixed yearly fee). Overall: In a few words JIRA is a task tracking software that makes life easier when working on a project. Pros: Our company uses JIRA to manage work tasks. It has all the important features for assigning work to team members, tracking how long each task takes, notifications, capturing comments and hours worked. The tools allows for the flexibility to create your own JIRA ticket types or categories, with any kind of number of input fields. Data fields may be dropdown boxes, tags, values, or free text. Fields inherently have the ability to recognize hyperlinks and add those in once you type out a link, and it also recognizes JIRA links, such that if you enter a JIRA ID tag, it automatically creates a hyperlink to that JIRA entry. JIRA supports Agile development schemes and tickets could be easily tracked through a JIRA Dashboard. JIRA filters are also easy to use. You may use the basic query that provides you with simple dropdown fields for common elements, or you can create more advanced queries using JQL. Cons: Being a JIRA user can be limiting as you only have the ability to enter data for the fields that are currently configured. You have to go through IT or the admins for any form of customization such as adding/removing/hiding fields, setting what kind of text format is in each field (e.g. plain text vs rich text) and modifying which fields are required vs optional. When you have rich text formatting, sometimes it can be frustrating getting the text to show up the way you want. The workaround for this would be to use the Text tab instead of the Visual tab so that you can modify the formatting tags. Overall: JIRA is easy to use and great for managing work tasks on a project, however customization options are often only available to admins. Pros: Jira is clean and it is simple yet powerful. You can use it for your basic ticket workflows from the get go and expand as you grow or the tasks you wisch to cover branch out. It is easy to customize the ticket views to contain the information you want to use and avoid cluttering. The Workflow editor is one of the most powerful I came across in all my professional career. It might not seem so much of an importance but believe me, when your business grows unexpected necessities will arise and you will suddenly be required to track tasks you never though about. Jira will have you covered and allow you to add different task types which traverse task-type specific phases and have corresponding stati. Also you have all the world of notification and responsibility tracking ping-pong covered as you go. Two further things are woth mentioning: First the Atlassian World (the Wiki Confluence and build system Bamboo and many other products) integrate flawlessly and it actually really makes using them fun. Jira is one of the tools, that make you smile when you are required to use it no matter the task to track, its jus smooth, convenient and above and beyond provides a rich ecosystem for free and commercial plugins even for rather exotic use cases. Cons: When we scaled, the License was not as flexible in higher user tiers as it was in the lower ones. Also once upon a time an update went wrong and we had to invest a bucketload of time and brain power to get everything back up to speed. We did run jira on premise and hat some custom plugins so there might be some of the tripwires: In case you use plugins they must be available in the version you wish to upgrade to and this might require some research prior to updates. Also, you can make a science out of the workflow and notification configuration. In case it is not documented well when you do it it might get you into trouble. Comments: JIRA has lots of features and functionalities than can take time to master. From most project management applications' perspective, JIRA is one of the most complex to master. But it truly is the most complete in terms of offering development teams all the tools they need. This means that trying to run a fairly large and complex enterprise environment on JIRA might need the addition of a JIRA administrator to keep things organized. Pros: JIRA offers true Agile support for managing technical projects. Initially developed by developers for developers, JIRA is a powerful tool that captures more than just the project management aspect of any development project. JIRA offers a complete suite of issue tracking throughout the development life cycle. Starting with the backlog and planning, JIRA lets you layout your entire project across as many iterations (Sprints) as necessary. It provides ease of tracking the project progress and offers a host of tools for collaboration such as commenting threads. Projects and their projects can also be tracked across releases, with its release management capabilities, and provide comprehensive reports on performance and progress. JIRA is extremely flexible and offers pre-set templates across all functionalities, and allows you to modify them as neededto fit your team and organization's needs. Unlike some products with rigidity built into them, JIRA allows you to define how your team works. JIRA has a vast number of integrations and add-ons to further enhance its capabilities. Cons: JIRA is very powerful and very detailed. So much so, that some users often find it quite cumbersome if their development environments are not complex. Essentially, JIRA fits beautifully in any environment, but is extremely robust for enterprise environments, making it perceptively complex in small simple projects. Pros: I work for a large clothing retailer that often runs promotional coupons and sends out emails to customers. JIRA houses all of the collaboration for our company in creating and testing these promos and emails. What I like is that everyone, from the communications team to the Quality Assurance Team to the IT troubleshooting team can be in one place to resolve issues quickly. Cons: At first glance, the layout is a bit overwhelming. You have a giant list of projects, and the search doesn't always bring up what you are looking for. It takes a bit of time to learn how to navigate. I would probably like to see 'tags,' or additional ways to categorize a project so that you can search for it through a few more parameters. For my needs, this isn't too important because of the short lifespan of emails and promos. But I could see other applications needing something like that. Overall: We are able to use JIRA to create, collaborate, test and deploy promos and emails for my company. I am able to see conversations and other notes from people I don't normally interact with, which can be really helpful in understanding issues that arise or other notes that may have been left out of conversation elsewhere. It's a great tool for us. Overall: Currently, my organization is moving from waterfall model to Agile model (hybrid), JIRA has helped a lot to standardize the reporting of granular project details to be reported as a consolidated approach as to how the sprints within a project are moving forward. Pros: As a business analyst, I have been using Jira for last 3 years and I think it's the best software management tool around. Cons: The only thing that I hate about this tool from atlastian is that it have a lot of the patches applied and part of constant changes. We need to scratch for sometime when configuration have to be modified or any existing thing changed. Pros: Jira is a task administration programming that is very mainstream among numerous organizations. With an extremely high score of 9.4/10 and client fulfillment at 99% it is as of now one of the best 3 best task administration arrangements looked into on our site. The primary spot in this class is held by Wrike which has an aggregate score of 9.8/10 and is the champ of our Best Project Management Software Award for 2017. You can experiment with Wrike for nothing here. You can likewise contrast Jira and Wrike and see which one is better for your organization. Jira is intended to enable clients to catch, dole out, and set needs to their work. It enables you to deal with the entire procedure of use improvement ensuring that everything is secured, from idea to dispatch. Its straightforward, natural interface empowers joint effort with partners and enables you to take care of business in a viable way. Jira tailors itself to fit to the necessities of the business and gives fantastic help to finish everything. The level of customization enables the product to properly fit distinctive business needs. This product can be utilized by an organization. I have designed JIRA to be utilized by distributing organization, by law office, and obviously, IT organizations. What's more, it was conceivable to make everybody content with what JIRA gives. Despite the fact that occasionally it was difficult to encourage individuals how to utilize it, following multi month or two they couldn't recollect how they lived without it. Cons: Jira is an amazing programming, however with a lot of capacities comes a large group of devices and assignments to learn, especially for new clients. As of late JIRA refreshed its outline. My clients whine about new outline, I get insane when I can't discover things. Furthermore, JIRA wouldn't like to stop at that and is refreshing its plan further and further. I would truly incline toward that they glance through bugs that were raised on comunity entryway and accomplish something in regards to new highlights as opposed to doing configuration refreshes. It is imperative to realize that Jira gives us awesome help to the client, and their consideration is a need, however ordinarily they don't figure the issue. It is a component to survey in Atlassian. - The prologue to Jira's reality is required to be as mysterious as its interface and execution. Actually it is intricate to fabricate channels and move around in the application when the client is new. - You need to run a right download of the reports toward the finish of the month or toward the finish of the week, the reports are conveyed in spreadsheets, however with an introduction that fails to impress anyone, thusly, when setting the dates they ought to have pretty much days so you can play out the download effectively. Pros: This software can be used by any type of company. I have configured JIRA to be used by publishing company, by law firm, and of course, IT companies. And it was possible to make everyone happy with what JIRA provides. Even though sometimes it was hard to teach people how to use it, after a month or two they could not remember how they lived without it. Cons: Recently JIRA started to update its design. My users complain about new design, I get crazy when I can't find things. And JIRA doesn't want to stop at that and is updating its design further and further. I would really prefer that they look through bugs that were raised on comunity portal and do something regarding new features instead of doing design updates. Overall: This software helps us to follow the process the team agreed to, and see the progress on issue and sprint level. We manage several projects there. Pros: I am a technical writer who used JIRA as my first introduction into working in a close-knit, agile programming environment. I really appreciated the clean design, multiple ways to accomplish tasks, and logical visual representations of concepts. Is something assigned to you? It has your face on it. We had several development teams working in tandem and JIRA allowed for each team to structure their sprints according to their own preferences (some had more traditional set up and others used kanban). As time went on we were able to add more projects to JIRA, after transitioning off of ClearQuest for our baseline fixes, and while there is certainly a learning curve getting established programmers who have used one system of tracking for 10+ years converted to using JIRA, most everyone was able to transition and feel comfortable within a few weeks. Speaking as a non-programmer, I found JIRA to be incredibly useful and easy. Tracking writing and editing projects through development didn't require any specific setup or features and it was all around a great tool. Cons: While it was great that every project could be tracked from our one JIRA site for my relatively small (30ish people) development team, any time fields needed to be added for one specific team to track something for stories or bugs, it was there for everyone. This led to having rather cluttered add screens that meant for a good deal of scrolling. I know some of this was surely user error, but having a bit more control would be nice. Also, the search function occasionally would just... not work. At all. As adorable as the sad faced little magnifying glass was when this happened, it would be very frustrating to lose functionality without warning. Being browser-based always makes for risk and some days would just be constant checking of if JIRA was up again so untracked progress didn't fall through the cracks. Cons: It is cloud-based so you have to make sure you have enough bandwidth provisions to support this (rather challenging for bigger teams working on the same location at the same time). The usual loading times may take longer with poor connectivity. Overall: A powerful, mature, and highly customizable Project Management software that works in any scenario. Best suited to match the dynamic nature of Agile projects. Pros: I have been working in information technology field for more than twelve years. For a long period, I was a big fan of Bugzilla. However in my previous company, when we have migrated to Atlassian Jira, it was a very difference experience. When the entire organization moved more in to agile, the product also changed priorities around understanding customers' problems. The migration was tough as we were not in a position to ignore the requirements from our users. The import functionality helped us a lot and thanks to our engineering team to put huge effort in doing research on Jira. I love the way information is organized across, projects, boards with decent agile reporting capabilities. Being in product management, I have enjoyed the flow of user stories, backlog review, estimation, roadmap and Atlassian Jira's functionality to customize workflow. The transparency which Jira brings to the product management team is a big plus. What we are working on, what is going to come next and when, what is in the pipeline are a big relief to any customer facing product development organization. Another beauty is the categorization of user stories and epics, which helps the product owners to start filtration of issues at the entry level itself. The knowledge handover from product team to other teams collaborating for product success ( Eg:- CS, Marketing) became seamless with Jira. The dashboards are great for monitoring purpose. Finding Jira, an effective and comprehensive solution to ensure that every action in a user story is accounted and traceable across the product life cycle without loosing the goal of delivering iterative and incremental value to customers, as fast as possible. Cons: I like learning new things. Jira require good learning and is not a very light tool. The user interface act a bit confusing sometime. Setup, project/workflow creation, user management etc. are tough tasks and require brains from Dev ops with good knowledge of agile practices. Pros: Jira is a very powerful tool for managing teams of software developers working on one, or even multiple projects simultaneously. It is very robust and feature-rich, with features such as setting up/managing individual tasks, coordinating development efforts across tasks/developers to maximize team productivity, managing/tracking issues & bugs, gathering feedback from non-technical users via Jira user stories and managing project backlogs. There in also embedded support for Scrum & Kanban boards, although I haven't personally worked with those features. The custom workflows allow users to setup and manage their projects & teams according to the needs of their business and their preferred software development framework and management style. Jira is a very comprehensive, all-in-one tool for managing smaller teams of only a few people, all the way up to very large teams of 100+ stakeholders. Cons: Given the robust features and functions that Jira supports, there's a lot of depth and breadth to the software, so it can be somewhat complex and confusing to newer users, especially those who haven't worked much with project management tools previously. For project managers who are leading multiple teams simultaneously, things can get a bit overwhelming because the email notifications and project alerts can quickly start to become excessive, and there's no way to consolidate notifications across projects/teams. Overall: Jira helped us to more easily manage multiple teams of software developers and gather feedback from end users for several large applications that we were developing which were at various stages of completion and usability. We were able to use our available resources in a much more optimal and seamless manner, which helped us to complete projects and resolve issues more quickly, easily track the status of specific tasks across multiple projects/teams and monitor productivity at various levels. Ultimately, this allowed us to both reduce development costs and complete our projects more quickly which in-turn increased our business revenue. Pros: This tool works on a hosted model and can be accessed from anywhere in the world by using internet connection. The web version and even the mobile version (which i guess has been recently launched) is good and can be accessed through click of a button while it is assigned to you. It is has various options like assigning to different users, obtaining their comments, attaching supporting documents, printing the ticket, reports and dashboards which can be customised by the users, option to download, link the ticket with other tickets, etc., The tool has the option to create various workflows as per the requirements of the users. It has the option to alert the users with email alerts and also reminder mails. There is option to close the ticket, clone the ticket, revoke the ticket. The users can customize the reports and dashboards as per their requirement and download the ticket in various formats from the JIRA tool. Cons: The reports and dashboards does not provide for reports in a graphical way. The tickets can not be simultaneously assigned two or more users. The tickets can only be closed by the creator which is a set back if the creator does not close the ticket once its gets over. The note which is created allows only text inputs. It does not allow for creation of table or column. Turn around time for closure (at each specific user level) of the ticket can not be generated from the reports automatically. This is a big drawback. Also, it takes so much time for loading the contents and if the internet is slow then it does not get loaded at all. Overall: We are able to manage our internal approvals effectively. It is really helping to track the status and for expediting the approvals. It works even we are not connected to office network. You can simply connect if there is internet connection available. It helps us to complete cross border approvals easily and reduced manual work and hard copy print outs. It also reduces time for internal approvals and helps to manage even huge volume of internal approvals by the stakeholders. The resources need not run from one desk to the other desk. Pros: Supports integration to most of the developer's tools Complete freedom to design your own workflow and screens An automated ticketing system can also be generated with its Command line interface and workflow Customer Support is one of the best in the corporate industry Multiple tools have given at user end to make admin changes easily like, Restarting tomcat, re-indexing or integration with SVN, git. Cons: Expensive for businesses who are medium size Upgradation of the software from one version to another requires real IT skills If you want to keep Jira running smoothly it has the indexing feature to make it faster but sometimes those index gets corrupted and no one can help in restoring those data. Pros: Have an organization in the projects and services provided by the company to measure the profitability of them. Cons: The addon to integrate project Server Online asks to deactivate the module of hours and in my current case is basically the corde of use. so we were willing to sacrifice integration hoping to have a response from the manufacturer that we can do to integrate Project Server Online. Pros: JIRA is ticketing and workflow management software. The things I like most about JIRA are how customizable workflows are, the availability of additional third party plugins, and how well it integrates with other atlassian products. The integration with other atlassian products improves our workflow significantly in IT and development, it allows us to link git commits through FishEye and documentation pages through Confluence to every JIRA issue. Cons: The software has gotten progressively slower over the last few revisions. That's my only complaint. The first load of JIRA in the mornings especially seems slow (About 20 seconds in the browser). Overall: JIRA has helped us to organize our projects and keep them organized. Combined with the other atlassian products, we've streamlined how we document our work and stay organized. It's allowed us to do a variety of projects with different project management methodologies and workflows all within one software platform. It's also allowed a great deal of transparency into the development process for management which has greatly reduced the workload on project managers by automating some of the report generation necessary to show progress. Pros: That they are constantly improving and releasing new features that make my life easier as a QA working on an Agile team. My team relies on this software of keep track of what we are doing. It has lots of nice features that we use such as to link issues to one another, link tickets, put labels of versions to be released, link to pull requests on Git Hub and scale priority and story points. Cons: The person that organizes the board and tickets need to know a lot about the software to be able not to let it look messy. It's easy to create unnecessary tickets and put them on different places and end up losing track of it. Also, it's not easy to configure the boards to fill in correctly the burn down or any kind of chart. Overall: Keeping track of a Sprint, a project, a quarter or a year of work is easy. Working on an Agile team, JIRA makes my life better. It has all an Agile team needs to work together on the same or different features. Pros: 1) Jira is performing well in the industry which results in lots of people integrating with them. The most impactful for us was the integration done with Zenddesk our ticketing system. Our support engineers are able tie Zenddesk tickets to our Jira issues and when issues are updated, so is the Zenddesk ticket. Very Cool! Cons: Most of the cons that I noticed are rather nit-picky however I believe there is room for lots of improvement. Overall: I have enjoyed using Jira at work. It helps keep our team on the same page and gives insight into what everyone else is doing. My opinion is that they have hit the mark in a big way and they just have some cleanup/maintenance issues to take care of. Pros: I've used JIRA a few times, along with Confluence when I was on contract with a few large enterprise digital teams. I found JIRA to be excellent as a tool to share files, track project conversation streams, and manage multiple versions of files through the project lifecycle. Though I only ever used JIRA from an end user perspective, I always heard great things about the customizability (it seems to be a word) of the app to different business processes. Digital teams, such as UX design, development and copywriting are an ideal use case for this app provided stories and projects are set up properly. It's a great way to give stakeholders and PMs and other managers visibility into how projects are trending against milestones. Cons: There were a few outages when I used JIRA, but it was generally reliable. JIRA seems to be one of those business applications where you're only using a fraction of its capability. Administration access should really be restricted to a qualified few, as you don't want to have conflicting stories tracking the same project, telling different information. The success of a JIRA implementation/adoption really relies on the quality of the data users, PMs, and development managers put into it. I found that I was writing a lot of updates and @ing people all over the place on one contract, yet certain PMs were still asking me for updates. That was less a JIRA problem, and more a condition of the people I was working with though, so I won't name names. :) - Moral of the story, you get out of JIRA what your teams put in, like many enterprise apps. 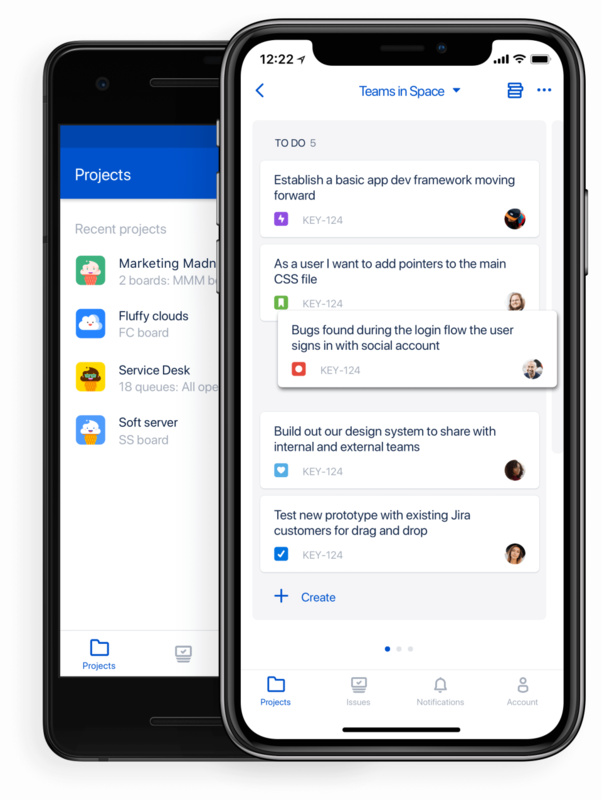 Pros: JIRA gives you the essential tools to manage your development projects and comes into its own when you scale up managing larger teams and 100+ developers. User stories, epics, issue management, backlog management, task assignment, tracking charts for scrum, kanban boards etc give you the visibility you need when operating in an multi-team Agile development structure. The visibility of the state of your project(s) and workflow is the key benefit for using this software in an enterprise environment. 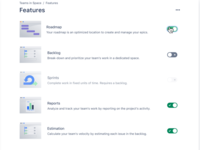 Another key benefit is you can extend to use Atlassian's suite of products where there is great integration such as Service Desk, Confluence & Stride - although most of our teams eventually developed a preference for Slack. Cons: JIRA can be a little complex at the outset to the uninitiated, some tasks require searching for in the menu system. Customization does have an overhead attached, for example adding attributes with logic etc. Email notifications can be overwhelming if you are attached to multiple teams, a digest option would probably be better than one email per update. Overall: Scalability of our development teams was the biggest benefit, this product enabled us to grow and not lose productivity in the process. We were able to maintain good line of sight to what teams were producing and which ones were on track and which teams were off track. This invariably reduced the cost of our development, enabling us to grow faster and get product to market quicker in a highly competitive space. Pros: I use Jira products both as a user and as an administrator. As a user, I find it very straightforward. I like how easy it is to do things like update my tasks, see the team's work, add files to items and connect between the various tools like Stride and Confluence. As an admin, there is a lot of customization I can do regarding workflow. My team has changed as we've grown and fleshed out both our development and QA process, so having that flexibility to modify the Jira workflow has been incredibly helpful. I also like the fact that Jira integrates with virtually every other major piece of software, such as Slack. Cons: Most of my complaints with Jira software comes from the admin side. Because it has so much customization, it's often hard to know where something is or how you need to modify it in order to customize it. The documentation leaves a lot to be desired, and searching the web usually takes you to outdated documentation or a community forum post. Between the two, I usually can find what I need. Generally, the biggest gap between documentation and what I'm doing is that the UI has been updated and things moved around. The actual information is solid, but entire menu items have disappeared or been renamed. 1. Clear Tracking of what is going on in the project along with version needs to be deployed. 2. Ability to Use Kanban, Scrum and other Agile methodologies in JIRA Software. 3. Ability to flag the stories which is in impediment which will show to everyone on when it was started and when it was impended. 4. Easily keep tracking of Backlog for future works and deployments that needs to be made. 5. Ability to bulk update the stories for certain categories like version, points or any others. 6. Easy in terms of reporting to generate using JQL (JIRA query language). 1. Some times it was ended with deadlock leads to slowness. This happens when certain users running the report across the JIRA. 2. Security is less since we can see any ones board and get to know the statuses across the enterprise. 3. JIRA is costly since it per user licenses and whole organisation have to pay according to the usages. Overall: My Overall experience in JIRA is 3 years at this point and we started using it from the Year 2016. This is used in an project called recovery with the count of 25 developers from India/USA/Canada and several business end users on the same. The stiry was easily created and went thruough several phases till deployment. 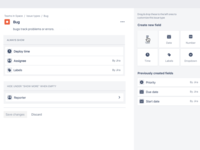 I would say JIRA ease my works in managing the stories since I am the PO for whole board and connecting developers/business end users for moving the stories and completing the same. Jira is a gold standard in software development, but beware the complexity. Pros: Having worked with several QA and development teams, Jira is a fantastic tool which can be tailored to fit just about any software development project. I enjoy that the standard feature set is powerful and easy to setup, but it can also be expanded upon using custom programming or third-party extensions. Given the product's prominence in the marketplace, it's easy to get started with a new project and quickly get the entire team on the same page in capturing bugs, tasks and feedback and moving work through a process. Cons: As flexible as the system is, there are times where Jira simply isn't able to accomplish a task in the most straightforward way. As a project planner, the number of organizational levels (Epics, Stories, Tasks and Bugs) can seem like an appropriate amount, but each of these levels need to be customized in order for the system to meet the fundamental requirements jira has in place out-of-the-box. What I least about Jira is that is seems to have an "attitude" about how work/tasks should be organized. As soon as you encounter something that is not in line with that attitude, you end up needing to tweak a lot of little things in order to get the result you want. Overall: At a basic level, the product is fantastic. It allows for the collection and organization of information that Product and Project Managers, QA folks and developers can all leverage and understand very easily and collaborate one. 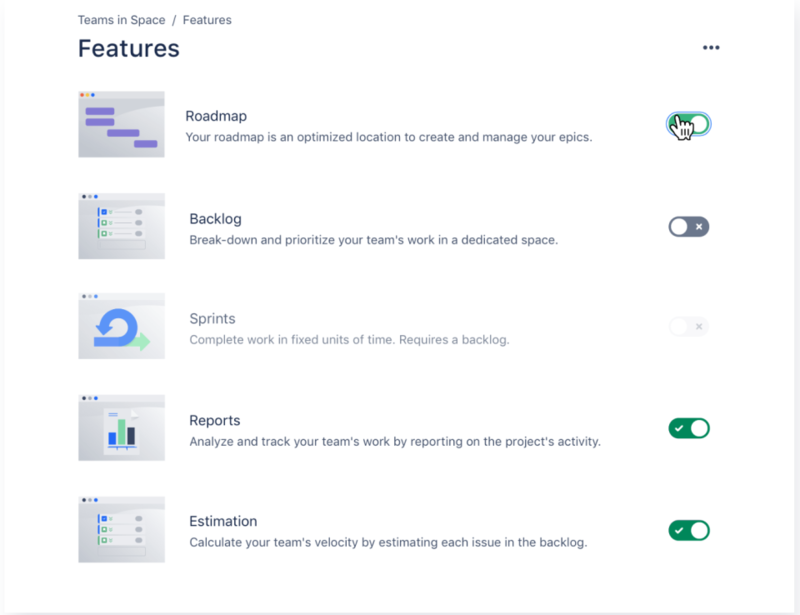 Pros: Jira works incredibly well for large organizations, allowing each team to have their own workspace for projects, epics, user stories, and bug tracking. It is incredibly flexible, allowing each team to customize the fields that appear on each issue. This lets the teams customize their workflows, and makes it possible to manage very diverse teams such as art, development, and marketing all within the same system. Flat-fee pricing for small teams is very competitive for the amount of power it provides. Cons: Way too much overhead to actually get started. Jira is so flexible that you have to invest a lot of time to get it working the way you want. The layout of the interface isn't very intuitive and can take a lot of time to learn. They sacrifice usability for flexibility, which is a blessing and a curse. This tool is far too complex for a small company or team, although it may be a good choice if the company is growing quickly or manages very diverse teams. Overall: It helps my team and my company keep track of all the features and bugs we are working on, and is a powerful project planning and organizational tool. The integrations with GitHub, Zendesk, and Power BI are incredibly valuable, and help automate much of our issue management. Pros: The dynamic structure to organize the activities and the income of the estimation of the execution times of each task, since it facilitates the application of agile methodologies in software development projects. Jira also allows the inclusion of those responsible for the development of each activity, in addition to notifying the person in charge of supervising it, facilitating an early detection of impediments and / or progress during the course of the tasks that are carried out. Also, the integration of Git provides valuable help when verifying changes in the development of the source code. It also has the possibility of sharing information through files of different length (.txt, .pdf, word, .mp4, among others) in order to provide greater ease of understanding to the person responsible for carrying out the informed task. In addition, this tool offers precise search filters, saving time in the handling of the interface to focus on what the user wants to obtain. Cons: 1- The synchronization time of Git with Jira slows down with some internet connections, limiting the use of the benefits of this tool in some users. 2- The user has a lot of freedom to make changes in all the modules of the tasks. Although notification of the change should be a hierarchy of charges to perform them. Overall: Greater organization in the planning of activities and approximation in the execution times of the development of each of them, together with the application of the agile methodologies implemented for the development of the project. Pros: I have been using the cloud version of JIRA for over 9 years. One of its best features is they keep expanding its capabilities and don't change the cost. Don't get me wrong the tool has always done what I expected it to do and done it well, but with each release the generally add some features and capabilities it did not have before. I love that they allow Kanban boards and sprints on the same project - if that's how you want to work. Super flexible, fast and easy to use, even when I'm doing Admin work that I don't do everyday and can't remember exactly how to do it. Cons: My least favorite thing is that they have changed the interface several times while I have been using it. However each time after I spend time getting used to it I find their redesign to be significantly better. I really find this when I use locally hosted older versions and see what I used to do - I really realize how they improved it. Overall: The tool has always done what I needed it to do and is very easy to use. It is clear and concise and helps my team focus on what needs to be done, provides the visibility to me and our customer where things stand and allows us to be transparent with the customer. First rate tool that is a must for any software team or entire project team. 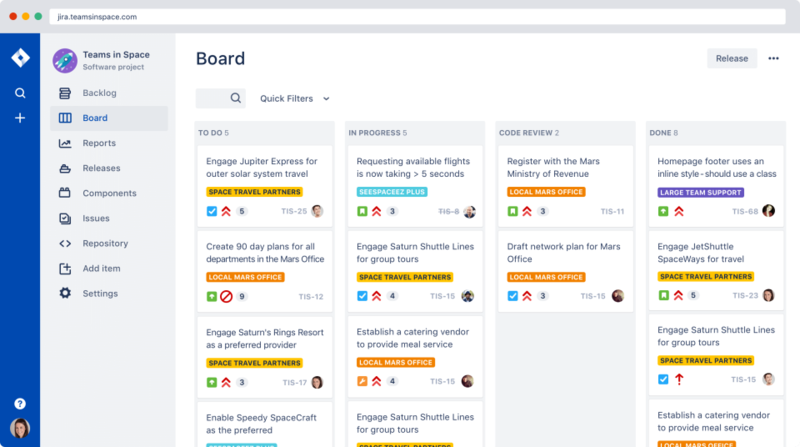 Pros: JIRA is popular issue tracking and project management tool developed by Atlassian. JIRA has all advanced features a agile project management tool provide like scrum tracking, Sprint burndown chart, Agile reports, velocity charts. JIRA supports estimation of tasks in points as well as hours and does also rack the actual time spent on task. We have customized JIRA based on our project workflow like a sequence PO Review, Start Progress, Unit Testing, Code review, QA Testing, Done. JIRA Supports estimation and lifecycle of sub-tasks also. Cons: Although JIRA supports all advanced features of agile project development but still there are some area of improvement in it. User has to make 2-3 click to edit task details. It is bit hard to understand the features of JIRA for beginners and for administrators. It can be very complex to customize to the way you need it. I found JIRA bit hard when i wanted to move multiple tickets from current sprint to next sprint. If you stuck somewhere defining the workflow scheme in JIRA you would have to contact your senior or search for help on internet. Overall: We are using JIRA to manage our complex institution management system where we are following agile process. JIRA helps in managing and tracking task. If one has got good grasp of usinf this software It is a powerful tool. We use a feature Log Work of JIRA to lof our daily work on tasks and sub-tasks. JIRA is able to generate time sheets based on work logs. JIRA cab be customized based on one's particular need but It is bit harder to understand this feature. JIRA is not costly if the team size is less then or equal to 10. Pros: A big advantage for me is that the software is centered and focused on teams that write software. This results in some nice features that you really appreciate when writing documentation and when you are quickly looking for information and old documentation yourself. Specifically, it supports markdown but at the same time it has a basic but useful interface for editing text so that no matter how different everybody structures their text, the end document has a minimum standard of formatting and readability. Everything is searchable and easy to index/link, features which I often use. The standard functions for 'Scrum' or similar programming styles/paradigms are all there (kanban view, ticket priority, roles, versioning, etc.). At least while we used it, the application was always reliable and quick. The ability to create your own workflow for tickets was also useful. Indeed JIRA helps to keep a standard of transparency and documentation. Of course this is not enough and depends on each team, but I think it is quite helpful in helping you get there. Support for markdown is key. Cons: As mentioned above, I do not think that the program would coupe well for other type of ticket or content management that is not software, but I cannot really attest to that myself. The constant email notifications were bothersome, though you can change them on your settings. Even though everything is searchable, I found it sometimes difficult to navigate and find content. If the team is not disciplined with the ticket organisation, it can become somewhat unorganized. I did not set up JIRA, but I recall hearing that it was not an easy job. I was missing a mind-map view. Overall: Easy way to manage software-tickets, to communicate about them with co-workers and to customize our own workflow. It takes a lot of the steps of managing a bug or a problem of your mind. Pros: What I like most about Jira is the fact that it is a project management software that adapts better to the agile philosophy. It is highly configurable and can also work under the Kanban scheme. Its interface is clean and allows collaboration with teammates and does the work in an effective way. 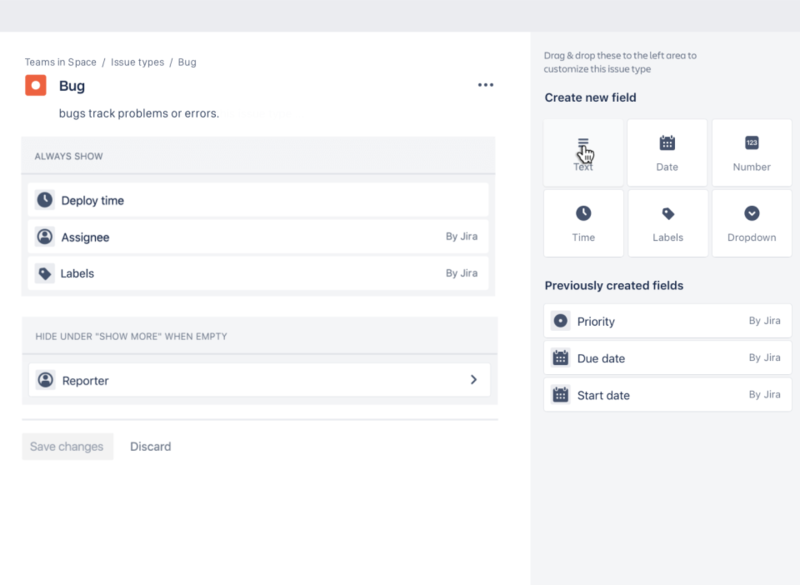 With Jira you can configure almost any of your workflows, their states and their fields, action and issue items by means of your default configuration or by customizing on demand. Another feature that I like about Jira is that it allows a clear communication with the work team, since it sends instant notifications in each update of the areas of interest, allows interaction with the team, to share ideas and attach documents. Cons: Jira is an incredible program. However, it has several edges that make it not so attractive. The first thing is the complexity, it is so wide and robust, that to configure and implement it, you must spend a lot of time, to achieve an adequate personalization according to the needs of your organization. Second, you must spend time learning to use it. Some functions, depending on the organization where you work, must be customized with a direct request from the manufacturer, which makes it more expensive. Many of its functionalities fall directly on the administrator of the program, which makes the volume of work is not equitable between the team. Overall: I have used it to manage projects that involve the creation of a financial product, from its conception to its testing and implementation, which also involves assigning tasks, reports and monitoring progress. With Jira, this has saved me time in the management and development of that product. JIRA is the industry standard development management system, streamlining process in all projects. Pros: The ticket management system is easy to use, intuitive, and logical. The Epic / Story / Ticket format allows for easy management of different tasks in projects, and allows project managers and developers to interface seamlessly and easily. JIRA has many pre-built templates for projects and includes functionality for building ticket templates of your own, further optimizing a time-consuming process. The editing and tagging of different tickets allows for incredible amounts of accountability when working, especially between different departments. Cons: The JIRA interface can be bland, though it is functional. While JIRA does have many capabilities that go beyond basic ticket management, without a full hands-on tutorial it can be very difficult to find extra features and take advantage of them. While JIRA is versatile and can integrate with many platforms, there are some issues with those integrations and troubleshooting them can become quite cumbersome. Our business used Aha! and stopped with the project management program due to issues with our JIRA, as an example. Overall: Streamlining the development process and saving serious time while working on complex projects involving many different departments and interests. JIRA is a one-stop tool for optimization of the development process and will immediately be felt across any business taking advantage of the platform. Pros: JIRA is a feature rich product that is highly customizable. Most businesses will likely have a difficult time using it out of the box, but you can create custom projects, screens, fields, and workflows, all of which are easy to manage. Most of the UI is user friendly and intuitive to use, whether you are an admin or an end user. There is also a lot of online documentation you can refer to if you are looking for particular customizations. Cons: The biggest issues with this product are that some features you think the product should have inherently, are only obtainable through paid add-ons. There is an add-on store fortunately, but some of the additional features are very costly, and are subscription services. The other issue I commonly see is that in order to effectively use the product, your admins should follow procedures and naming conventions when creating customizations. If you don't follow any sort of procedures or policies when creating new customizations, the back end turns into a jumbled mess that can be hard to discern down the road when you want to make edits or modifications to things already in place. Overall: This product overall relies heavily on user customization that is specific to your business, and requires a server installation/license if you aren't using their cloud licensing. It can be costly to maintain and license. Pros: - Everything-and-the-kitchen-sink approach that caters almost all enterprise users. Overall: I've been using JIRA since I got my first corporate job, and while I saw it improve in many areas there are some other ones that seems to be totally neglected, but worst, looks like management is decided to push down your throat stuff to force you use the app in the way they want you to use it. By far the worst thing I see is the need to learn its query language in order to fully leverage the awesome functionality that the search feature has. Second, it's absolutely developer oriented so using it for Ops has a lot of friction. All in all, while I'm very used to it since I've been learning its ways - and quirks - through the years, I'd like to have the opportunity in the future to work with something different as JIRA, with all its goodness, never really cut it for me. It is good tool for assigning tracking the tickets/defects. Any artifacts like doc/mails or approvals can be attached seamlessly. I heard but not used that we can pull the charts like efforts burnt down charts that quickly help Project managers to summarize the things. Cons: Many options that are unnecessary: Some pages are confusing and it is too much elaborate, for ex we need to fill too many things to close a defect which are not relevant at all. Pros: JIRA allows us to see what tickets have not been assigned clearly and allows us to monitor our service levels, ensuring that we are helping people with their issues in a timely manner. JIRA is pretty customizable so we can adapt it to what we need it to do, which is collect and monitor IT helpdesk tickets. Cons: Sending attached photos or screen shots in replay messages to the reporter on tickets does not always work and we have had to add a plugin just to make sure that when we attach a file to a response, the reporter on the ticket actually receives the attached file. JIRA also has trouble at times pulling in the tickets from the email address that we have our users send the helpdesk tickets to. So sometimes we do not get tickets for an hour or two before we realize that they have not been coming in from the email address. Sometimes we have to actually restart the server to get the tickets to start coming in on their own again. Overall: We are using JIRA as a helpdesk ticketing system to organize and manage the tickets so that we can help our customers with their IT issues. Overall it work for the intended function but I do think that there is room for improvement when it come to using it as a helpdesk ticketing system. The ability to attach files and share them between the users should be built into the software and not something that you need to get different plugins to get the attached files to be shared properly. Even things like Avatar Icons could be improved, as the choices are quite small natively, but there are addon that you can get to increase the icon available. Pros: JIRA is the ultimate IT project management platform . It's default setting should cater for 60% of all needs of a scrum/kanban team working on a small to mid size IT project. The other 40% can be configured, achieved by external plugins that are abundant in the JIRA marketplace or found in other tools from the atlassian stack (like Confluence). I've used JIRA in projects with 4 people and 50 people. Would not use any other tool, can no longer imagine IT projects managed with Trello or other similiar tools. 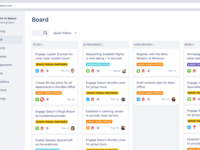 Cons: JIRA has come a really long way in the last 4 years - stitching together multiple different tools creating a more unified all-in-one project management platform (including bitbucket, confluence, green-hoper, hipchat, etc. ), incorporating multiple elements of scrum/kanban working style as a default. It is still visible at times that the current shape of JIRA is a result of acquisitions of different platforms rather than outcome one development team - but its no longer that painful. This is most obvious when it comes to configuration - for example setting more advanced permissions can become shockingly difficult to do. The learning curve is much steeper than for most of other tools, but this is compensated by IT-targeted functionalities and scalability. 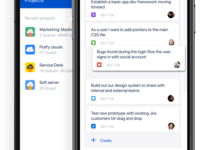 Pros: JIRA offers a very robust list of project management and notification features that are essential to both agile and waterfall style software development. It can be customized to your preferred method of operation, which makes it very malleable to your specific business model. There are also a number of great add-ons and integrations that can loop many of your essential software licenses together, which helps instill uniformity and precision. Cons: JIRA can be very complicated to use. The problem with having a software that is this customizable is that your options are seemingly endless. Unfortunately, there is no real "instruction manual" for the software, and I find that the online wiki is often several versions out of date, which makes troubleshooting extremely difficult. In addition, it's very difficult to track down a customer service representative for assistance. In fact, at this point, I'm not ever sure how to. Overall: Overall, I would highly recommend JIRA for anyone looking for project management software. It has become an essential part of our business operations at this point, and I'm not sure how we previously functioned without it. It's a bit pricey, but if used correctly, it can really help your business stay organized and on task. I would highly recommend having an experienced user set up your installation to your specifications. Pros: It provides all of the collaborative tools we need to manage our work and maintain documentation for future reference and it doesn't break the bank. Cons: I hate that support is only through email (unless you get escalated and even then they're hesitant to get on the phone! ), particularly when the bulk of the support you receive is from non-native English speakers. Some of their support staff are great at asking clarifying questions and quickly working to a resolution but more often than not, their support staff may not fully understand the scope of the issue and will offer half-baked solutions that leave me as a user feeling misunderstood and frustrated. I may not have the vocabulary to convey in "Jira" terms what I need, but they as support agents should be able to bridge that gap. A simple conversation over the phone would help address this as a series of clarifying questions could easily help use come to a consensus but with emails going back and forth, it can create a time-consuming and extremely frustrating support situation. The setup and configuration process could be streamlined and made more intuitive. Because its so customizable, it makes sense that it will take some work to get it setup properly, but for simple user cases like ours, it really should be an easier process. Pros: JIRA by Atlassian is a great tool for software development platform. It simplifies the issue and project tracking. The new dashboard looks decent and give one stop view to backlog, board, reports, releases, issues and repository. Planning the sprint and distribution of task across team is easy. Release menu provide the clear view on the progress of the different release version on the single display. Best thing of JIRA software is we can select our own work cycle as per the organisation standards or by the size of company. Integration with the other third party tools like bamboo to view the build status help to get the real-time status on the release process bar. Cons: The third party APIs we are working with are expensive. So we are developing own APIs which is complex. The documentation and on screen help should be more systematic. Support and ticket solving process are the areas where JIRA can work on. Overall: JIRA software come with the purchase option of cloud and self-managed. The disaster recovery features come with no latency, as we just have to keep the indexes in secure places to get it back. Deploy the new software in cloud environment like aws and azure is very easy. The clustered server manage the data in multiple places. The load distribution enhance the user experience by providing the high standard of services. Pros: The best part of the JIRA software is how truly extensive it is. I think most people using the software don't even use 10% of the options that are actually available to them. Not only are there numerous options and abilities inside of the app, but there are also many plug-ins that are now available to use with other apps like Google and Microsoft. It is definitely an all-encompassing tool and will be able to greatly aide in efficiency for those who really dive into the tool. Cons: Since JIRA is very extensive, it can sometimes be a bit hard to apprehend. There have been times when I've thought that the lingo they use on the app might be confusing for new users, or that other wording would have better explained what a certain tool was. They also just launched a redesign that I've found a couple flaws with, but in their defense I think it might be still in BETA mode as they have been displaying a box for comments/complaints on the new layout for the past month or so and they give you the option to "revert to the old layout" if you would like. Overall: I have enjoyed the overall experience with JIRA. I am not sure there are many other programs out there that would be able to handle the kind of extensive customization and work flows that our company uses inside the application. Pros: Jira is an advanced software platform that can be used in many organizations to track software projects, product features, bugs, and other related information. I have had success with it in several organizations, but find that you sometimes have to adapt your organization's processes around how Jira works, as opposed to hoping that you can implement Jira to follow your current processes. It is above average in its flexibility though and has many levels of configuration and administration. Cons: While the above is true about the level of configuration and administration available, it can sometimes be too much and quite daunting to find the right option to resolve or solve an issue or request. While Jira can be flexible, it has to be implemented in a way that is manageable to all admins and sometimes small changes can be invisible to even experienced admins unless you drill down into very detailed settings and screens. Overall: Jira has been a very good tool for our organization's needs, but does take a level of administration that can sometimes be a bit frustrating. It makes basic tasks easy, but more advanced tasks can be complicated and get lost in the system. Overall though, it definitely adds value towards tracking requests and managing the software development and product management process. Pros: Jira is one of the best development tool for the agile environment of development. It is very easy to plan, track and release software. 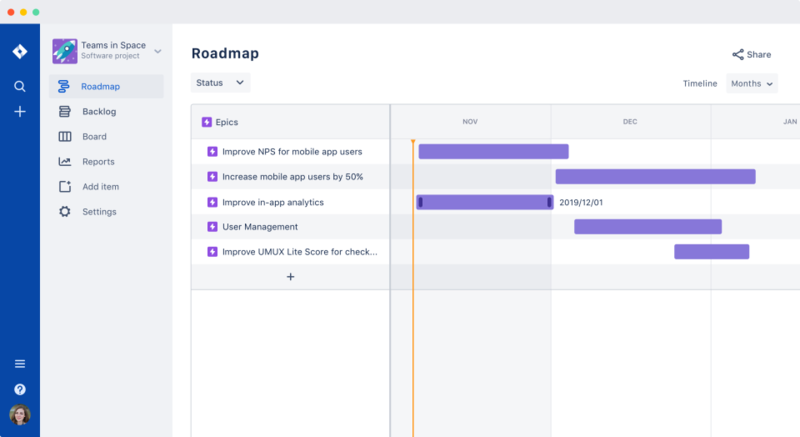 User can create project roadmaps with just drog and drop features with every minute project details. It's functionality like create user stories and issues, plan sprints and distribute tasks across the team etc very flexible to design. It is one of the best tracking tool I have ever worked with. I believe it is extremely handy and effective for project management. Cons: - As an user I didn't find anything I can considers as 'Cons' but I heard from the management that it is quite expensive software. Overall: My overall experience is wonderful. Very useful tool/ software for project tracking and execution. And keep an eye on overall progress of the project. Pros: 1) Ticket or story management becomes very easy. 2) It allows multiple links to a child ticket and hence tracking down or updating the ticket becomes very easy. 3) Ability to create new custom subtasks in a parent ticket. 4) Embed test case management tools like test rail, hence user can see and update the status of the test case in the same window. 5) Updates/comments form QA and Development teams are very clear. 6) Works efficiently for agile methodology projects. 7) All project related information like scrum team, sprints, scrum masters, QA team, Dev team MRD/BRD are organised very well. 8) Allows users to split their daily working hours in different tickets. 9) It has a vary vast storage, and allows all types to files to upload without any overall size issue. Cons: Webpage loads with some lag. Although mostly it has data only rather than UI but still it lags and specially if you are working inside VDI or VPN as in India most of the QA testers work inside client VPN only. Overall: Jira is the best project and defect management tool. It works very well for all type of software methodologies or cycles. Communication is very clear to the whole team member. Allows to fill our work hours thus making a transparent relation between client and vendor. Pros: In one way, we could escape from some task if we said we forgot. Not any more, JIRA tickets that you are assigned will hound you until you resolve them or do your part and pass the hot potato by assigning it to someone else. You boss who is always a watcher can also comment if he/she thinks you are wasting your time or should be working on something of higher priority (helps the boss who loves micromanaging). I particularly like the way you can use epics to pools similar tasks and then make sub-task to link them to other tasks etc. Cons: It has made most of the places so efficient that before when I worked as an intern, my boss would brief me on what I had to do daily. Nowadays I get a steady list of tasks which I need to sometimes write back and forth before knowing exactly what to do - sometimes a good old fashioned face-to-face would be helpful - so maybe this is a flaw in management rather than the fault of the tool. Pros: * Allows complex workflows, and good visualization of them. * Third-party software plugins as well as Atlassian provided ones. * Good detail in docs, with DB fixes possible instead of it being a mystery blackhole. * Integration with other Atlassian products. Straightforward key management. * High-volume (detailed) logging. Good separation of app config/data and app files. * Runs on a standard Tomcat build. While you're required to use their included version, customizing it is done the usual Tomcat way, and allows for easy configuring Apache or caching front-ends. * Very poor error management. Doing migrations between servers or from cloud to hosted can result in mystery errors that the UI should be able to identify or repair, instead rough DB fixes are required. * Eg, a plugin is somehow disabled by an error condition. Rather than offering a UI to re-enable it, or to clear the setting, or reinstall, instead you can't reinstall the plugin (error) and have to go find the DB entry where it's "off", and set it "on". That would be expected in a v1 product, but Jira is how many versions old now? * And DB fixes require shutting down the service and then restarting it (a sluggish process).